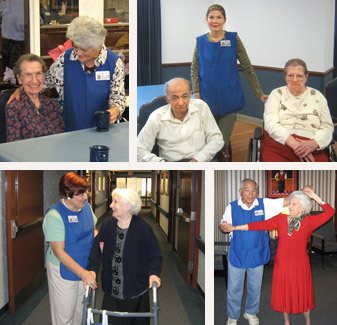 If you would like to make a difference in other people's lives, meet new people, learn new skills, enrich your life, or gain useful experience, please consider being a volunteer the Greek American Rehabilitation and Care Centre. No matter the skill level, we have areas of interest for everyone. With an already existing core of volunteers, our Care Centre is a great place to help others. We offer a wide range of services and training is provided to assure that our volunteers, both students and adults are comfortable in their roles making a difference and interacting with our residents.